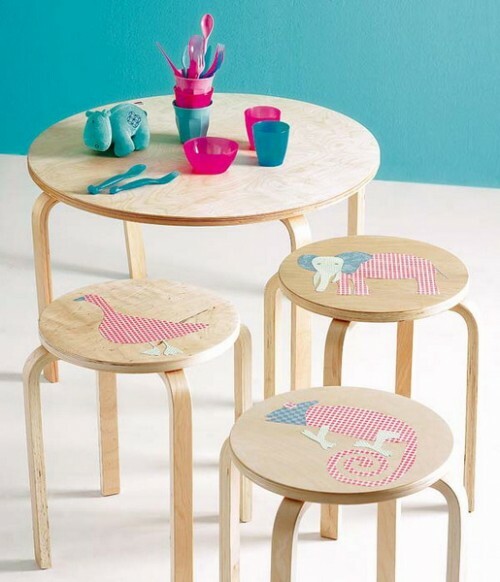 Make your kids’ furniture unique. You can apply decals on it, paint its parts, wear socks on its legs, make new handles for it, or glue cardboard animals that you made with your children during your last craft project. 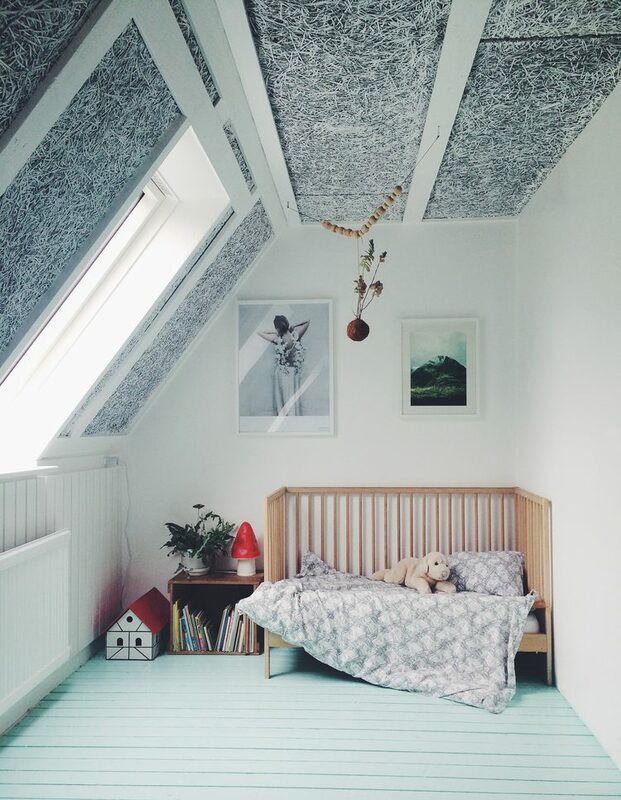 Give a spark to kids’ room’s walls. 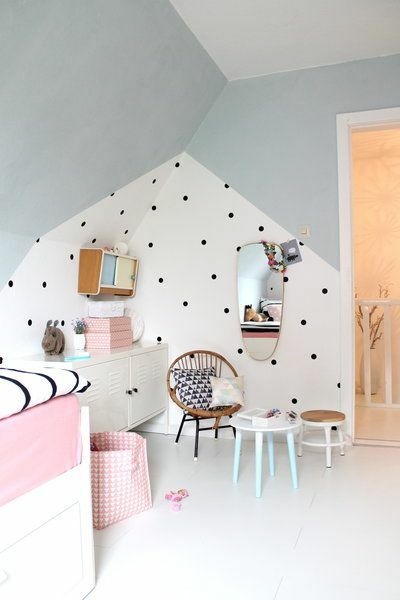 You can use wall decals, paint something on these walls using stencils, or simply add some DIY wall decor. Create a cool playing area. 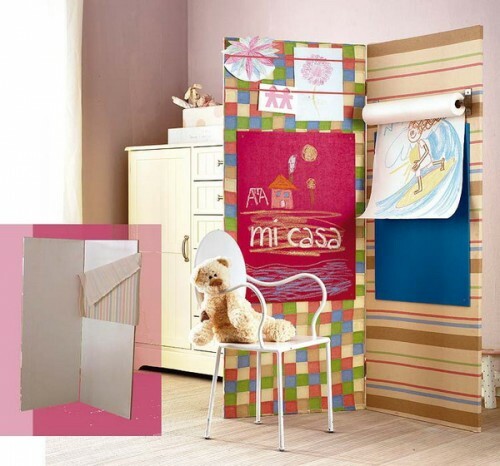 For example, you can build a doll theater or cut a magazine stand of a cardboard box. 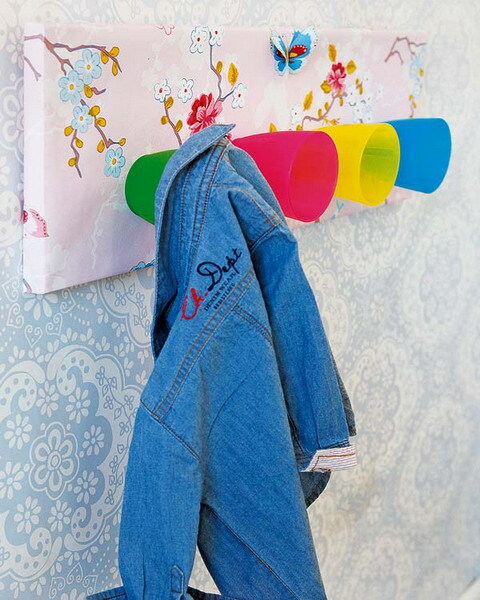 Add some creative clothes storage. That could be a shoe display made of a pallet, creative wall hooks, or some cool and colorful sacks. Sew cute and fun pillowcases. 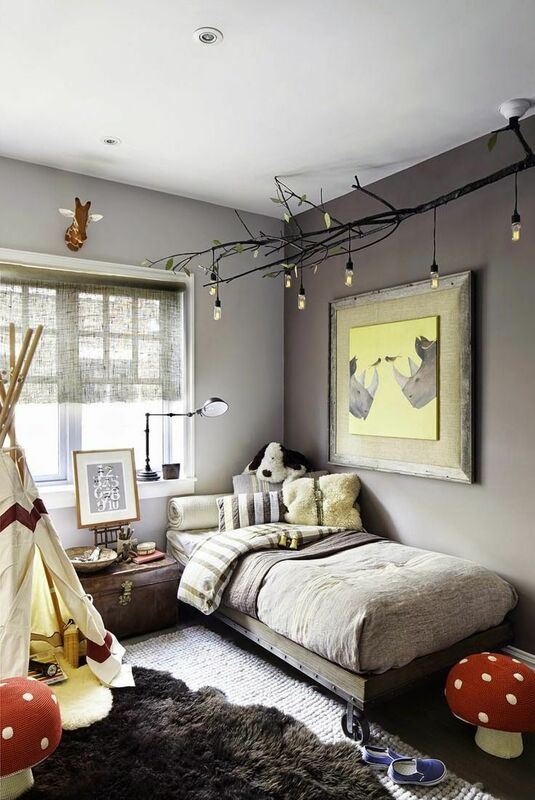 Even though you can’t make the whole bedding set even cool pillows would add a creative touch to your toddler’s room. 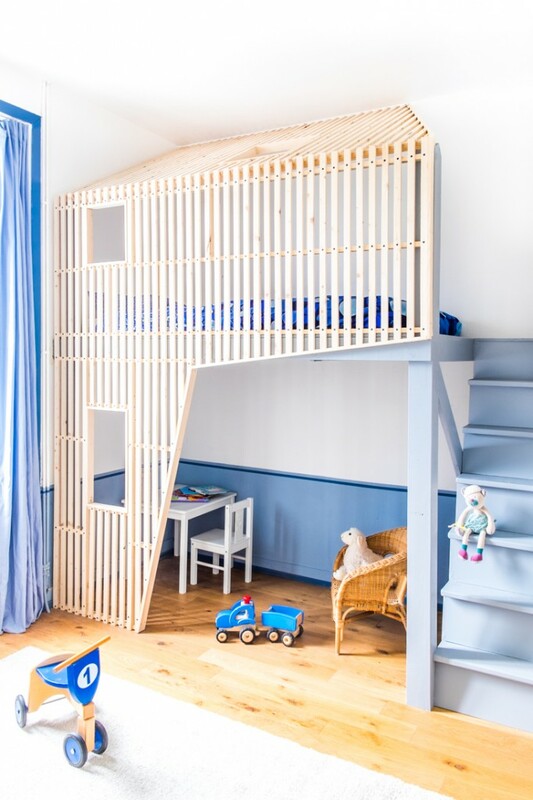 Thanks to these awesome hacks you can save some money and make your children happy. Most of these upgrades take minimum time to make so don’t hesitate to try them! 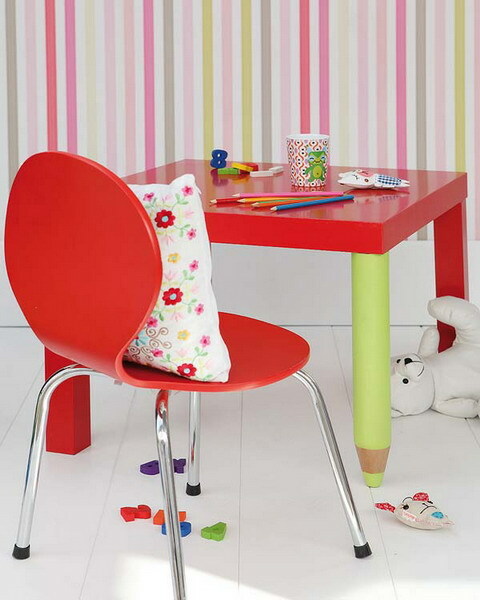 Even simple IKEA's LACK table in gloss red would be more awesome if you change one of its legs into pencil shaped green coolness. 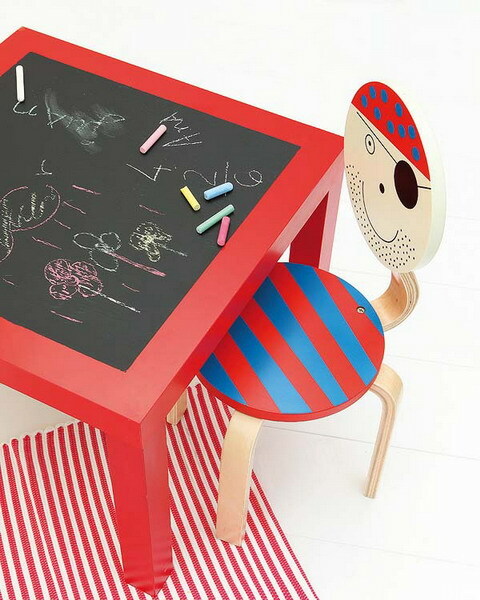 Hacking IKEA's LACK side table with a chalkbaord tabletop is an awesome idea. Kids could draw right on the table. An upgrading a cheap wooden stool to resemble a pirate is also a cool decor idea. 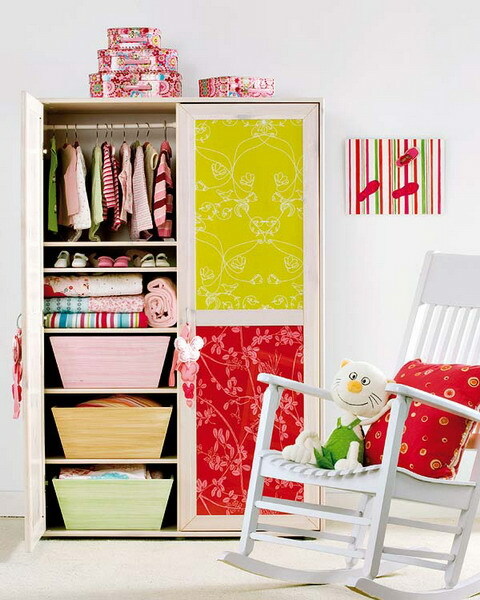 Applying craft paper to wardrobe's door is a simple DIY way to spice up a plain piece of furniture. Cutting cute animal shapes of cardboard and applying them to furniture isn't only a cool way to upgrade it. It's also an interesting craft project with your toddlers. Even simple socks could change table' and chair' legs completely. This small furniture objects would be even more cute than they already are. 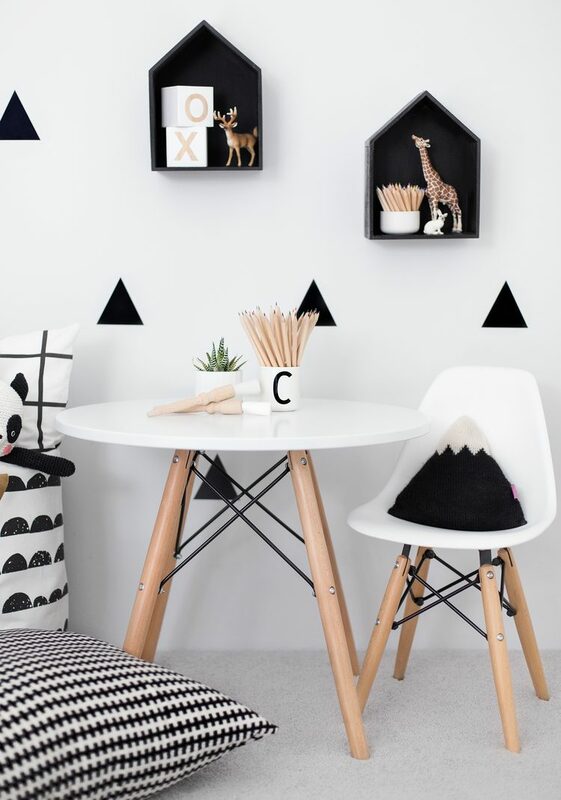 Simple decals could make any furniture more interesting in a matter of seconds. 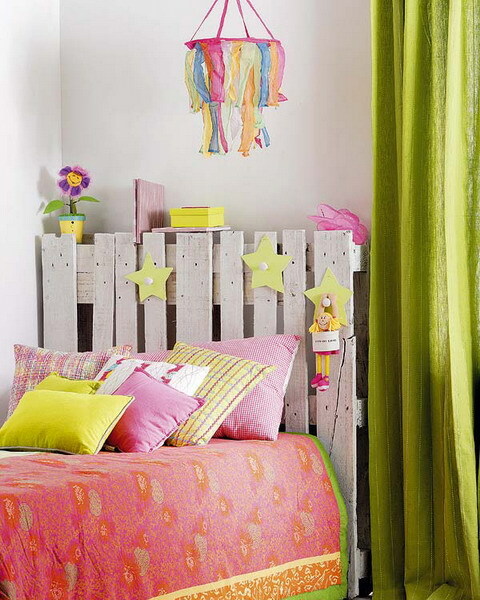 Even a kid's bed could look awesome with a DIY pallet headboard. Just some cute stuff on it. 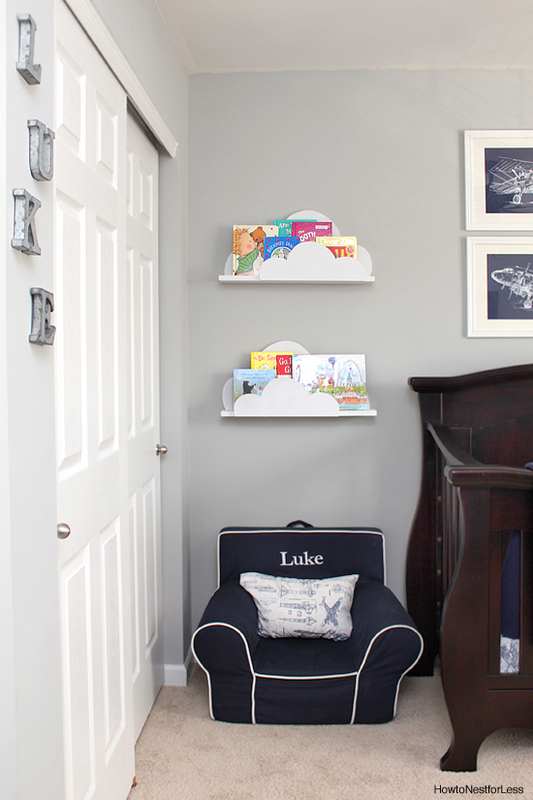 A super simple DIY hack to turn a simple shelving unit into a cute house. 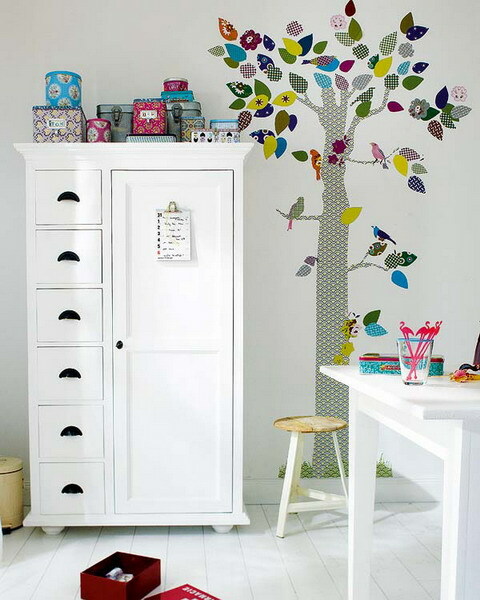 One more example of how a simple decal could make kids room's wall decor much more cute. 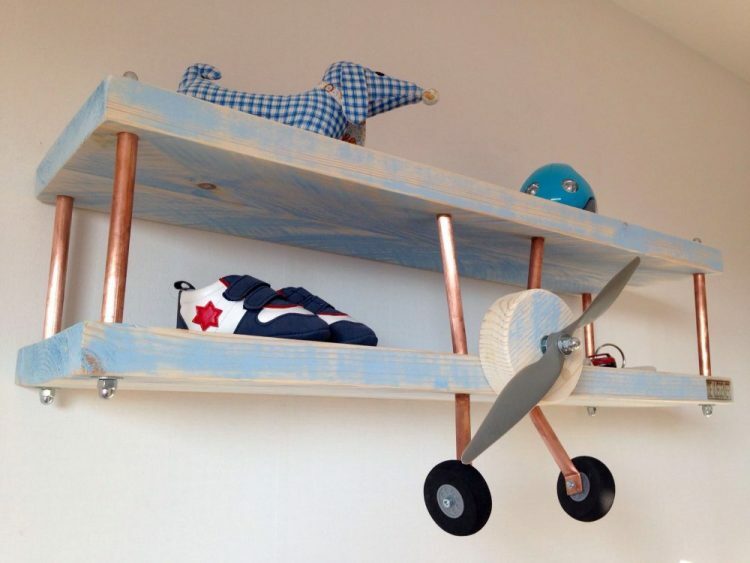 A vintage frame with clothespins could become an awesome piece of wall decor for your kids room. A practical one too. 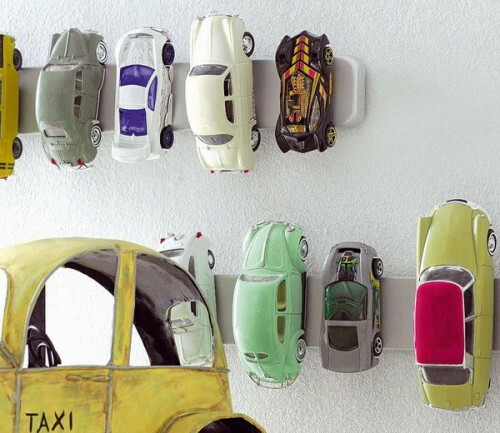 Magnet knife racks could be used to store matchbox cars right on a wall. 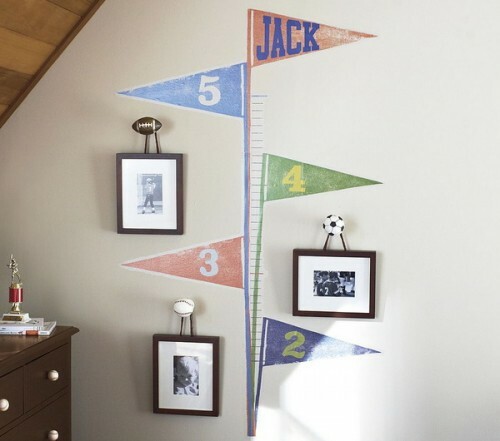 Kid's growth chart decal not only a cute wall decor but also a practical one. 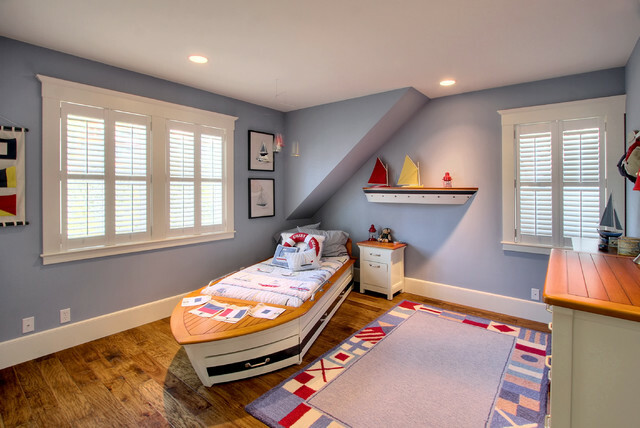 Wall decals are perfect way to add an interesting touch to kids room's walls. 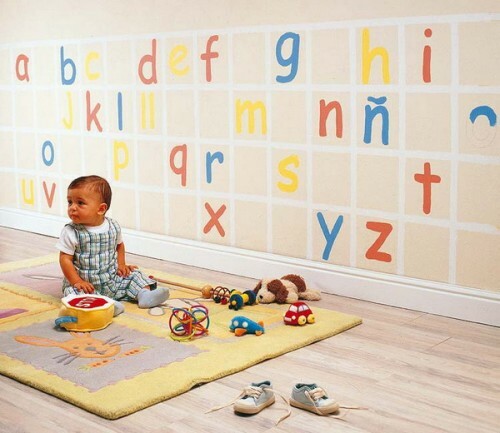 Here is a cool idea for a wall decal that might help your child to learn the alphabet faster. 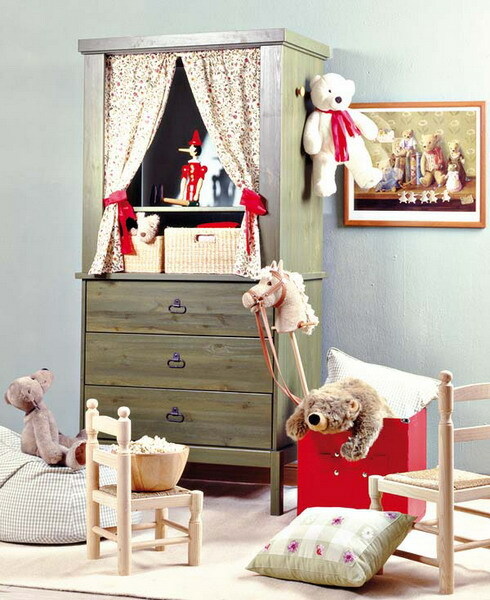 A simple makeover could make an old and ugly furniture piece worthy of a cute kids room design. 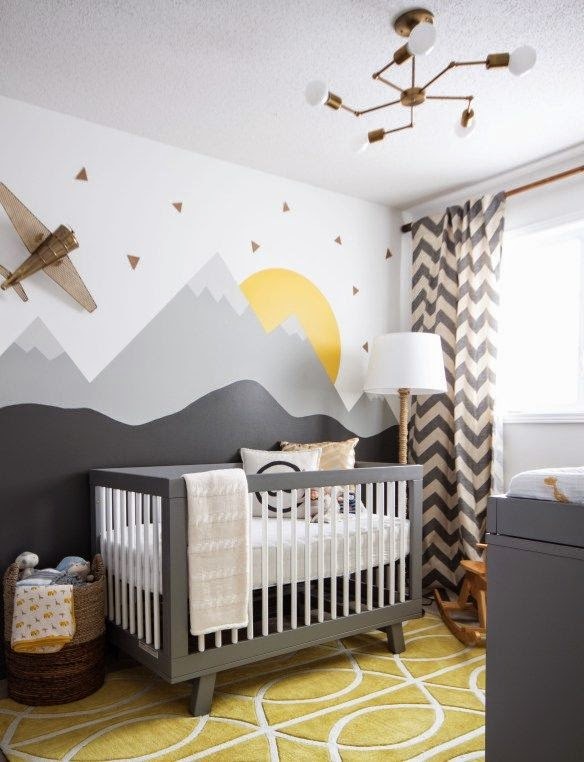 DIY stuff is a perfect way to decorate a nursery with a personal touch. 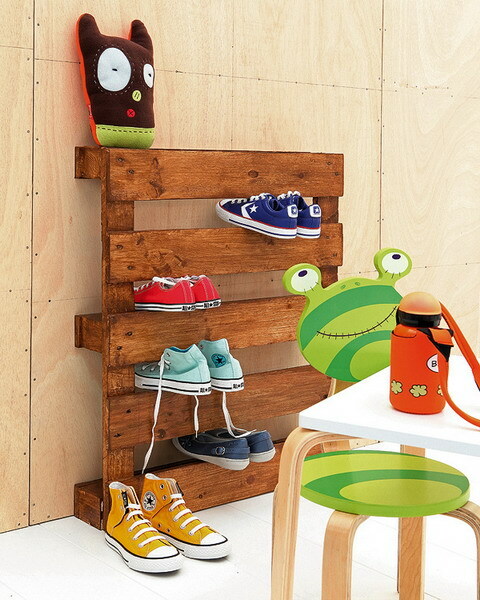 Stained pallet is a cool shoe display for a teen's room. 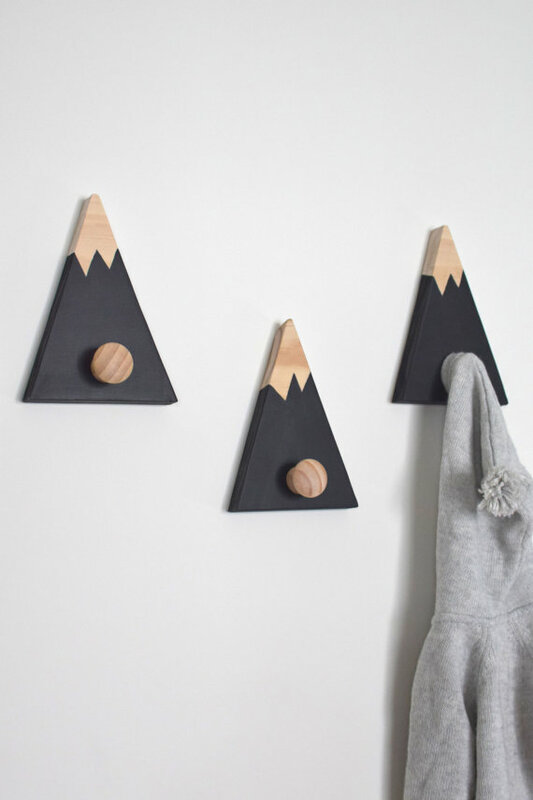 DIY wall hooks are more than welcome in any kids room. 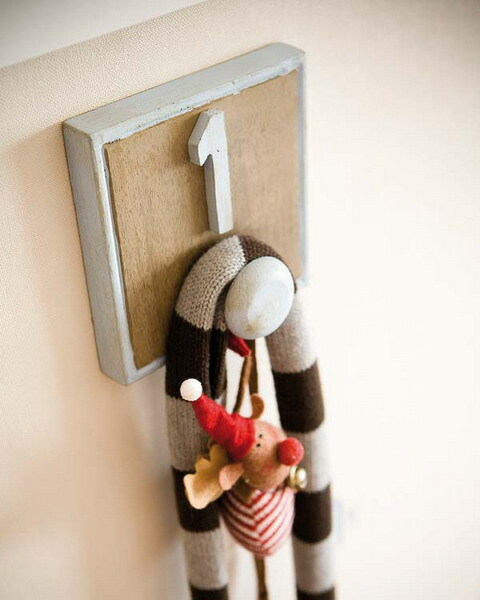 Even the simplest craft projects could become practical addition to a kids room decor. Cardboard is great for craft projects with kids. In the result you can get something to upgrade their boring furniture. 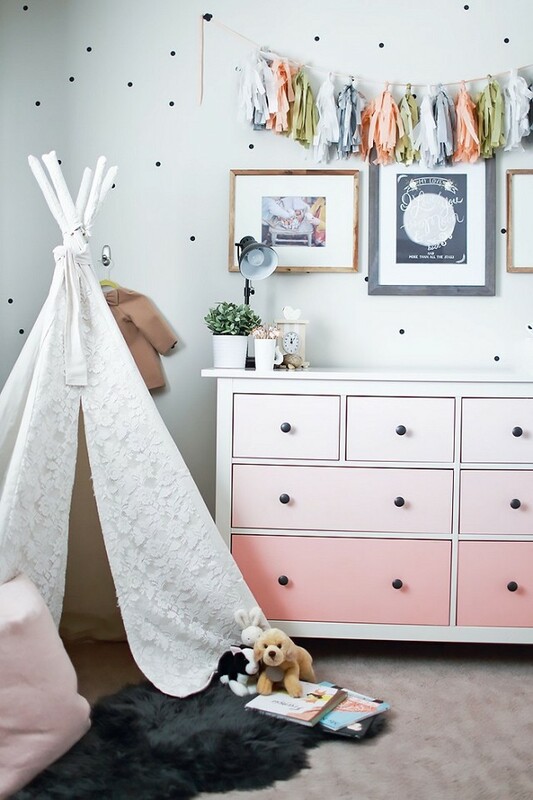 A plain white side table could easily become a great addition to a girl's room if you add some pink stripes on it. 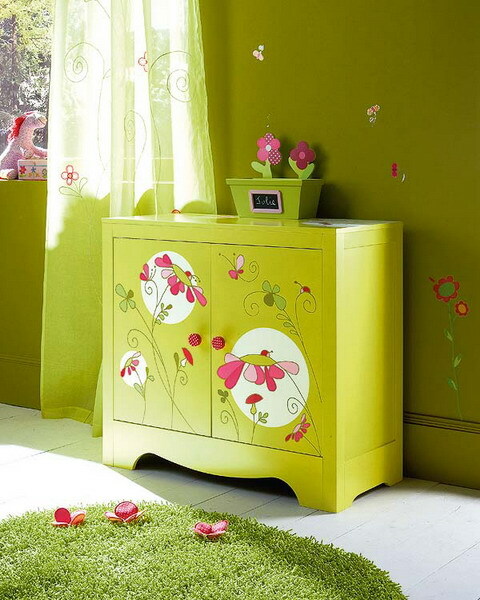 Here is how you can turn an ugly storage cabinet into a cute addition to a toddler's room decor. 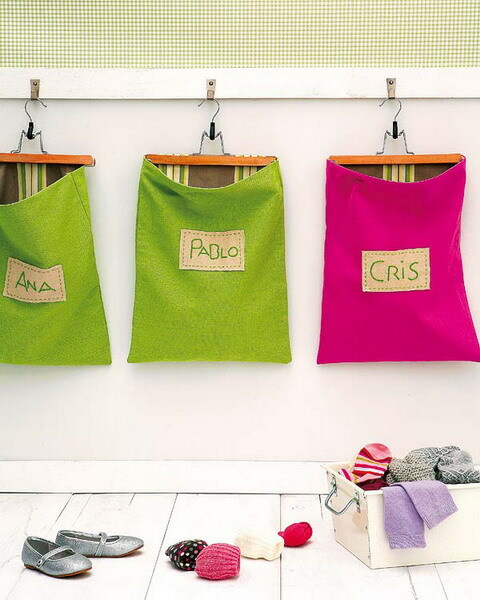 Colorful bags are great organizers for a kids room. 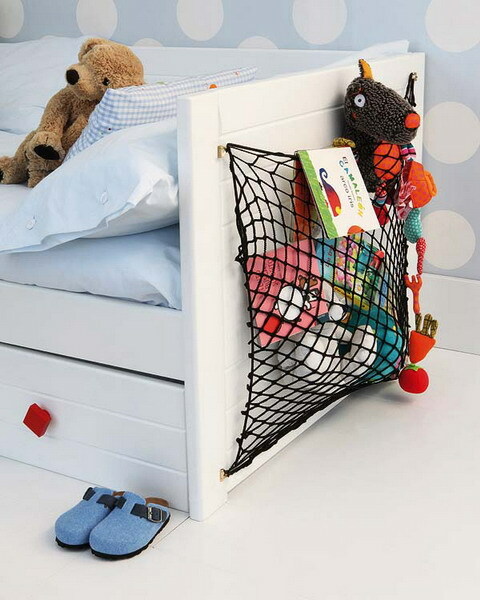 This is a super simple yet a super useful storage hack for a kids room. You can make so many cool and practical things from cardboard, you can't even imagine. 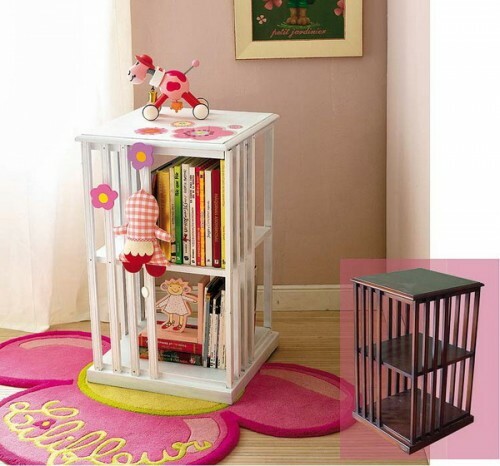 A storage cabinet could become a doll theater arena. Baby mobile is a must have item for a nursery decor.